Rated for Comfort, Security and Easy Travel. Peak Gear will give you peace of mind. Keep your money, credit cards and important documents safe. So comfortable, you won’t even remember it’s on! Peak Gear has never skimped on quality to save costs. We’ve built a reputation for great products and exceptional service. We want you to focus on what’s important – enjoying your next adventure! -Velcro Closure – Convenient for items you want to access more frequently, such as a phone. 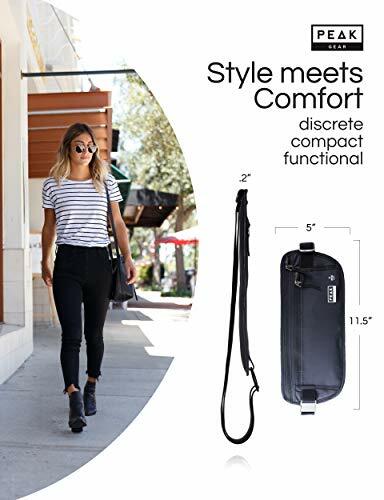 Make an Investment in quality travel gear that won’t break or fail when you are miles away from home. We pride ourselves on providing top-quality service and products that are made to last. Our USA-based customer care team will make sure that you are happy with your Peak Gear product. 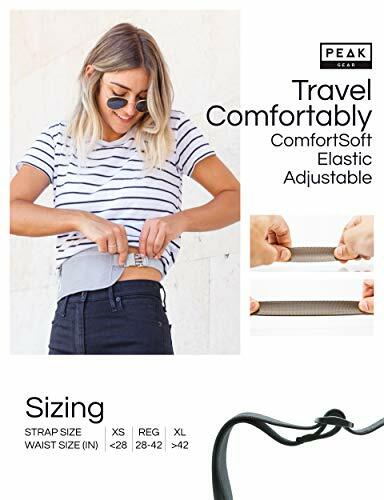 We are available anytime for your questions or issues!ULTIMATE COMFORT – Light, comfortable and slim this belt is the perfect travel accessory whether you are an occasional airport traveler or an avid backpacker. 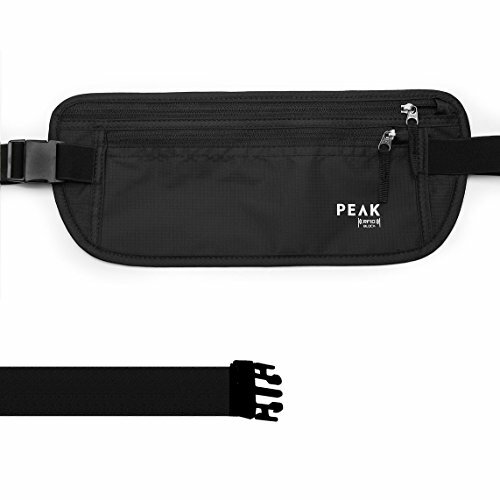 Peak Gear’s unique Comfort Soft strap adjusts snug around the waist to fit both men and women. 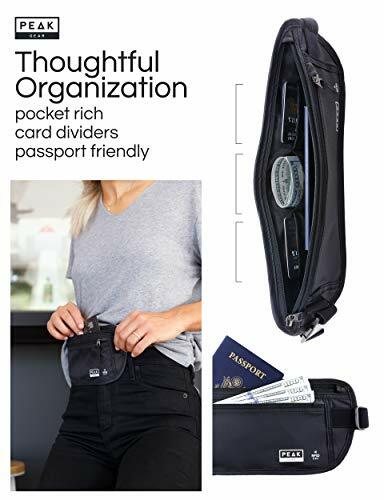 Two compartments and pockets inside the hidden pouch fit multiple US passports and keeps credit cards organized. Our moisture-wick backing will keep the pouch cool against your skin, especially useful for all day use or in warm climates. INVEST IN QUALITY – Don’t buy a cheap money belt and risk getting stuck while travelling. 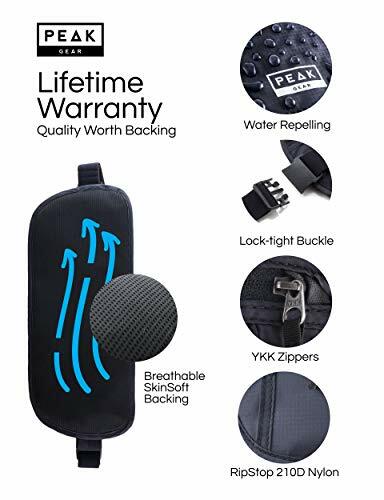 Peak Gear offers Premium YKK Zippers (the highest quality on the market), 210D water-resistant nylon, premium stitching and a double-release safety buckle. We did not skimp on materials so you’ll never have to worry about reliability. 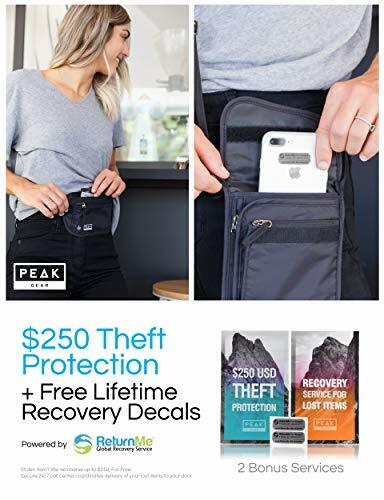 INCLUDES THEFT INSURANCE AND LIFETIME RECOVERY SERVICE FOR LOST ITEMS **ONLY valid when purchasing from “PEAK GEAR” and not from others claiming to sell PEAK products** $250 Theft Insurance to reimburse you if items are stolen. We’ve also partnered with ReturnMe, the world’s largest lost & found company, to give you 2 FREE Global Recovery Decals ($8 value). Stick on your phone, passport, camera, etc. and their 24/7 call center will help return lost items from anywhere in the world. NO SEPARATE RFID SLEEVES NEEDED – Protect yourself from electronic pickpockets. 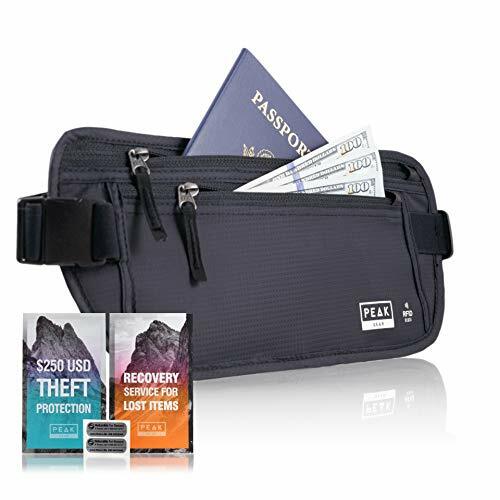 Peak Gear’s RFID Block Protection is built right into the fabric of the money belt. Anything you put in the belt will be protected against electronic theft. RFID sleeves look fancy but are a pain to fuss with. 100% MONEY-BACK GUARANTEE – Our USA-based customer service team will make sure you are happy with your purchase. 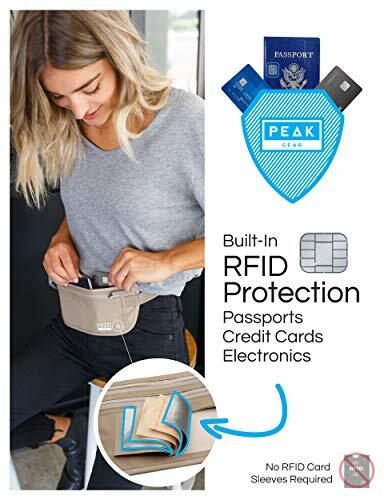 PEAK products are designed and tested by avid US travelers who understand the need for the best quality and dependability. The only thing we don’t guarantee is this special pricing – Buy your money belt today and don’t be disappointed.